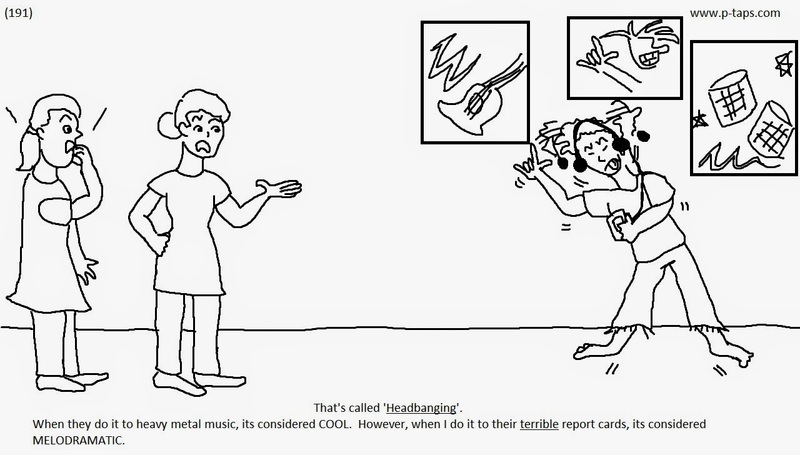 That's called 'Headbanging'. When they do it to heavy metal music, its considered COOL. However, when I do it to their terrible report cards, its considered MELODRAMATIC.